If someone told you that it would take a bit of soap, some water and 30 seconds to save a life, would you believe them? It may seem hard to believe, but this is the reality for millions of people around the world. Having access to clean water, proper treatment of sewage and hand washing all have their part to play in our health and wellbeing. How does poor sanitation lead to poor health? Effective sanitation can minimise the spreading of harmful viruses, bacteria and parasites between people which occur commonly through faecal-oral transmission – that is, when someone unwittingly transfers harmful pathogens to someone else via food preparation or touching a shared surface. In the developing world this type of transmission can lead to the spread of diseases like cholera, polio and hepatitis, and as a result faecal-borne diseases can negatively affect the economic and educational outcomes of entire communities. UNICEF estimates that improving water, sanitation and hygiene could save a staggering 842,000 deaths across the world each year. It makes sense then that the Bill and Melinda Gates Foundation has created the Reinvent the Toilet Challenge, to address the fact that over 4.5 billion people over the world don’t have access to safe sanitation. Of course, even in developed countries hygiene and health go hand in hand. The influenza virus can be picked up from contaminated door handles or other objects and easily transferred to the mouth or nose without adequate hand hygiene. Hospitals now have strict hand washing procedures to minimise the spread of methicillin-resistant staphylococcus aureus (MRSA), which can cause infection throughout the body. Other health risks from poor hand hygiene and sanitation can include skin infections, respiratory infections such as pneumonia, and of course food poisoning. The great news is that it takes some simple measures to reduce the risks and effects of infectious illnesses; for example, hand washing alone can reduce the risk of respiratory infection by 16% and diarrhea illness by about 30%. What constitutes good sanitation and hygiene? There’s a range of measures for good sanitation and hygiene, beginning with clean running water and effective sewage systems – which of course, we’re very lucky to have established here in Australia. Hand hygiene and sanitisation of shared spaces are also incredibly important factors. 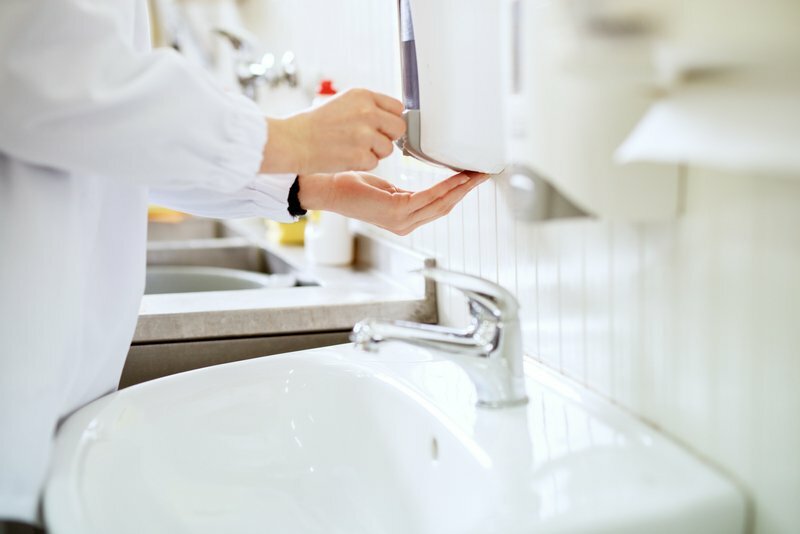 This ranges from providing liquid soap, paper towels and hand dryers to ensure hands are cleaned and dried properly, through to effective waste disposal products like bins for sanitary products, including our highly popular Lady Sanitary Bin and Pod Petite. By effectively cleaning and managing our shared spaces, we can all enjoy a better standard of health and wellbeing.